Anti-Duhring remains one of the greatest works of classical Marxist theory despite all attempts to claim that, being written by Engels, it is somehow separate from or even opposed to Marxism-qua-Marxism. In 1979, for example, Jack Mendelson wrote a journal article that was paradigmatic of this claim that Engels' conception of Marx's project was a "metaphysical" distortion of a proper Marxism. Indeed, in On Engels' Metaphysical Dialectics, Mendelson describes and defends the commonplace argument that Engels, specifically in Anti-Duhring (though he cites Ludwig Feuerbach And The End of Classical German Philosophy as a secondary symptom), produced a warped ontology of the Marxist project that, by providing us with notions such as "dialectical materialism" and claims that Marxism was a "world outlook", wrongly mutated Marxism into an orthodoxy that was not properly Marxist. It is strange that these claims linger. This strangeness becomes most apparent when we actually read Anti-Duhring in the context of what the Marxist project had always claimed to establish and propose, as the unfinished project of The German Ideology written by both Marx and Engels made clear: the initiation of the science of history and society. While I am not the biggest fan of aspects of Engels' Dialectics of Nature, particularly the ways in which it occasionally transforms a logic into an immanent principle of nature, I also understand that this text was never completed or properly edited by Engels. He did not seek to conclude it for publication in his lifetime, and so much of it remains in notebook form, which renders it, based on Engels' own decision to neither complete or publish, somewhat compromised. Much like Marx's 1844 philosophical essays. The same cannot be said for Anti-Duhring. Initially conceived as a polemic against Eugen Duhring who was trying to propose a philosophy for the socialist movement that depose the emergent historical materialism Anti-Duhring became so much more. There was a time where it was treated as the handbook summation of historical materialism, the "beginners' guide" to the project we would eventually call Marxism. Claims that it was a "metaphysical" distortion by a misguided Engels are egregiously ahistorical: Marx not only read and edited this important work but claimed it was the best summation of his work with Engels to date. Hence, claims of the sort found in Mendelson's essay imply a very odd reading of this text and the context that produced it: Marx was lying about its significance, Marx didn't understand it properly, or Marxism itself suffers from the so-called "metaphysical" distortion implicit in Anti-Duhring. Since it would be odd to assume that Marx, who edited this book, didn't understand its meaning, and doubly odd to assume as a Marxist trying to separate Marx from Engels that Marxism is guilty of the distortion ascribed to Engels, the only logical conclusion of this position is to claim that Marx was a liar. But if Marx was a liar about something as significant as a document that drew a line of demarcation between historical materialism and the reactionary idealism of Duhring, how can we trust him regarding other claims? We cannot. Part of constructing this gulf between Marx and Engels relies on not reading Anti-Duhring or, at best, reading some of its passages out of context without an appreciation of how it functioned as a polemic and a summary of the historical materialist project at the time of its publication. A few years ago I taught a course where we read Hegel's Philosophy of Right, Feuerbach's Essence of Christianity, and Engels' Anti-Duhring together as a progression of political philosophy in the 19th Century Continental tradition. Reading Anti-Duhring in this context rendered it conceptually robust, demonstrating that claims against its importance were misplaced. Students did not see it as an alien text, or some mechanically weird construction, but a sophisticated work that made complete sense within its historical context. A year before teaching that class, I taught a class on Feuerbach that concluded by examining his work through the critiques in The German Ideology and Ludwig Feuerbach And The End of Classical German Philosophy. The latter piece, when read in the context of The German Ideology and Feuerbach's work was far from the deviation from "proper Marxism" that its critics weirdly presume. In fact it was completely consistent in its understanding of Feuerbach and its criticisms with The German Ideology––which shouldn't be surprising since that book was co-written by Engels. But reading Anti-Duhring and Engels in context does not matter according to the narrative that separates Engels from Marx. Something else is at stake and this something is post Marx and Engels, a concern that has emerged decades after every Marxist, revolutionary or revisionist, understood Anti-Duhring as an essential Maoist text. This something else is the relation of Stalin to Lenin, a relation that Marxists influenced by cold war discourse want to obscure. Engels was to Marx as Stalin was to Lenin: to break the relationship of the latter the relationship of the former must also be questioned. 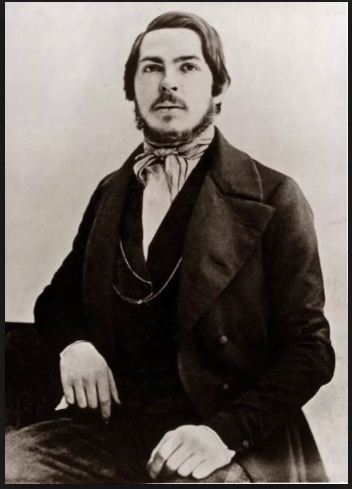 First of all, Engels was responsible for the early codification of "Marxism", a codification that would be consummated and justified as revolutionary theory in the first world historical revolution that was Marxist, i.e. the Bolshevik Revolution of 1917. In fact, as Kellogg demonstrates in the article mentioned above, Engels' codification of Marxism is precisely "part of the revolutionary 'orthodoxy' Bernstein was polemicizing against" and that, contrary to the ahistorical claims of Colletti, the "seeds of revisionism" developed "in opposition to Engels." Of course, Bernstein and Kautsky banked on their personal relationship with Engels to sell their revisionism, but political opportunists are often opportunistic on multiple levels. Secondly, Stalin's role vis-a-vis what would be called Leninism was similar to Engels role with Marxism and this similarity is not missed by many critics of so-called "Engelsism". After Lenin's death, the theoretical deployment of Marxism that engendered the Bolshevik Revolution was conceptualized as Marxism-Leninism in The Foundations of Leninism. This conceptualization would be important for the next world-historical communist revolution in China although, as I argued in Continuity and Rupture, Marxism-Leninism would only be consummated as such in this revolutionary crucible and was best expressed in Long Live Leninism!. (By the same token, Engels codification of Marxism was better expressed in Lenin's revolutionary operationalization.) So we see Engels functioning in a similar role to Stalin, though a revolutionary generation earlier, and the parallel is not missed, though sometimes it is only grasped unconsciously, by many of those who seek to delete Engels' contributions. Conversely, the Engels' significance was elevated under the Soviet Union during the Stalin period, and it is probably this elevation that critics of that period drew upon to inspire a hatred of Engels. If everything flowing from Stalin's codification of "Marxism-Leninism" is a species of "Stalinism" (including traditions that are critical of Stalin, Khrushchevite revisionism, and outright anti-Stalin reformism that are all homogenized by this incoherent label), then everything influenced by Engels' codification of Marxism is somehow not Marxism. Hence, the weird decision to separate Engels from Marxism thrives only on an ideological assessment divorced from a robust understanding of his work. Once we understand this, and actually read Engels' best work, we cannot accept the strange wedge that some Marxists have driven between Marx and Engels. More importantly, we can understand the emergence of Marxism through core texts written by Engels, particularly Anti-Duhring. And significantly, if we don't accept the importance of Engels' contribution, we would have to reject the second and third volumes of Capital as well as imply that everything Engels wrote with Marx was compromised solely by the fact of Engels' contributions. Of course we can still claim that not everything Engels wrote was 100% correct, but such a claim has nothing to do with the fact that there is a gulf between him and Marx. If we are critical historical materialists we already make the same assessments about the work of Marx (i.e. his assessments of India and colonialism) and thus would extend the same assessments to Engels. Not because Engels' understanding was alien to Marx's but only because all thinkers are not perfect and that historical materialism teaches us why this imperfection is the case. Thus we can ask why Dialectics of Nature is seen as more erroneous than The German Ideology despite the fact that both projects were abandoned in draft form by their authors. The only reason that the former is seen as more erroneous than the latter is that it was written solely by Engels; the latter gets a pass, and its short-comings are dismissed, simply because Marx's name is included. But both were drafts that were initially abandoned as drafts. So let's return to Engels' best work that without which we would have never had anything known as "Marxism" that revolutionaries would have been able to use to make revolution.